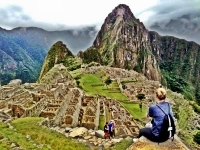 The Inca Trail: An Experience worth the effort! 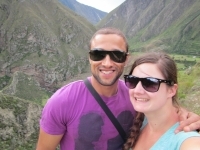 The Inca Trail was such a surreal experience! From the initial excitement of booking through to the finally departing Machu Pichu on the final day we were supported by Inca Trail Reservation staff and guides. 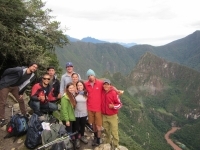 MY EXPERIENCE ON THE INCA TRAIL WAS VERY VERY REWARDING, THE GUIDES WERE EXTREMELY HELPFUL WITH EVERYTHING WE DID. THEY HELPED US ALONG THE WAY, GAVE US TALKS ON PLANTS AND WILDLIFE WE SAW ALONG THE WAY AND ON THE WHOLE WERE VERY KNOWLEDGABLE AND TOLD US LOTS ABOUT NATURAL WILDLIFE, FLORA AND FAUNA. The best trip of my life!! 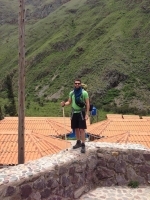 If you are thinking about doing the inca trail I would highly recommend coming with Inca Trail. I am a veggie and the staff catered for me at such a high standard I was overwhelmed. First of all I want to thank our guides Raul and Guido for everything. They were very helpful with all the group members and gave us a lot of informations about the trail, inca history and inca culture. More than guides, they became friends to me. This was the most amazing trip I have ever been on. 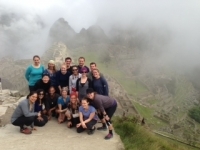 Inca Trail: Experience of a lifetime!!! 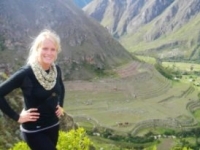 The Inca trail excursion was probably one of the most rewarding yet strenuous adventures of my life! 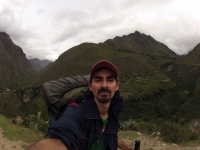 I recently decided to trek the inca trail. At first I was unsure as to what this trail was going to be like but the second we hit the orientation meeting I knew that I was going to have a blast. We headed out with my 30 lb backpack not sure what to expect. 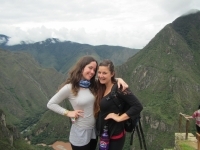 My experience during the Inca trail trek through Inca Trails Reservations was wonderful. 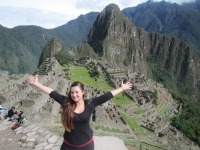 Overall, I thoroughly enjoyed my experience with Inca Trail Reservations. We had an incredible group of hikers, our guide was outstanding, and every single one of our porter staff was extremely helpful and welcoming.